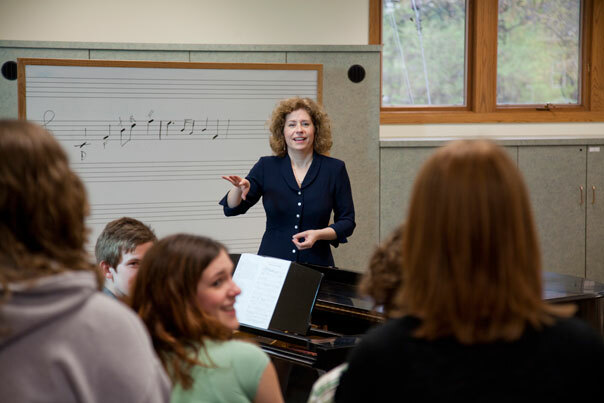 Lisa Fredenburgh, Associate Professor of Music and Program Chair, conducts the AU Choirs and teaches Music Appreciation, Conducting and World Music. She is also the chorus master for Fox Valley Orchestra and a member of the American Choral Directors, National Collegiate Choral Organization and College Music Society. Fredenburgh holds a Doctor of Musical Arts from the University of Arizona, master’s degrees in vocal performance and conducting from the University of Arizona, and a bachelor’s degree in music education from Luther College. She previously taught at Meredith College and the University of Central Missouri. We asked her about the growing music program and the increasing emphasis on the arts at AU. I have wanted to teach since I was in grade school. The pursuit of knowledge has always been something I feel must not be kept to myself but shared with others. 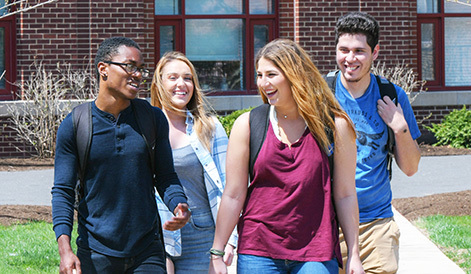 AU has a beautiful integration of pure academic intent and the practicality of applying knowledge in the world. This mixture echoes my belief that knowledge is more than theory but an agent of action. I am moved by ideas, especially when the ideas are used for the purpose of betterment. Each person I teach can learn something of the emotional and intellectual power of music. It takes work more than talent. A person who is willing to make the effort can accomplish a great deal. Passion for your work can make the work seem less like drudgery and more like a great adventure. As we all study it together, we deepen our understanding and ability to grasp both the finest points and fundamental principles that underpin this art form. What are the future plans for the Music Department? Music is part of the AU legacy. We are gaining a more public profile in the community and the greater Fox Valley region. The most exciting development is that we will offer a music major starting in the fall. I am very excited that we will augment our course offerings and offer the ability for students to major in vocal music or keyboard studies. The department is also growing in numbers and excellence. With the additions of Drs. Cristian Pastorello, piano, and Joshua Baum, voice, we can accomplish our goals and more. Finally, we have created the Third Thursday Concert series to help AU become more of a cultural center in the far western suburbs. What other programs or activities are you involved with on campus? I am the faculty advisor for the A Cappella student organization. Students who want to do popular music and rehearse and perform on their own need encouragement and advice when they ask for it. Being a student is one of the most precious times in your life. You have the incredible luxury to be immersed in study, follow things you are curious about, and become a better version of yourself. My best advice is to work hard, take notice of everything and how it is all interconnected, and never stop being thirsty for the next level of knowledge, skill, thinking and application.